It is the Italian restaurant along the beach in Seminyak, La Lucciola. You must reserve seat for dinner. It is has been over 10 years after they opened the restaurant, and they keep their popularity since now. 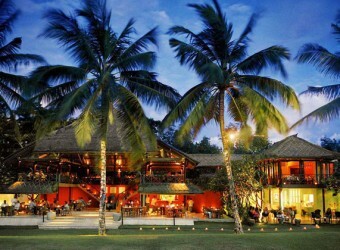 It has beautiful view and delicious dishes, so you cannot miss visiting there if you are in Bali. The best time is sunset time, and you can spend fabulous time.